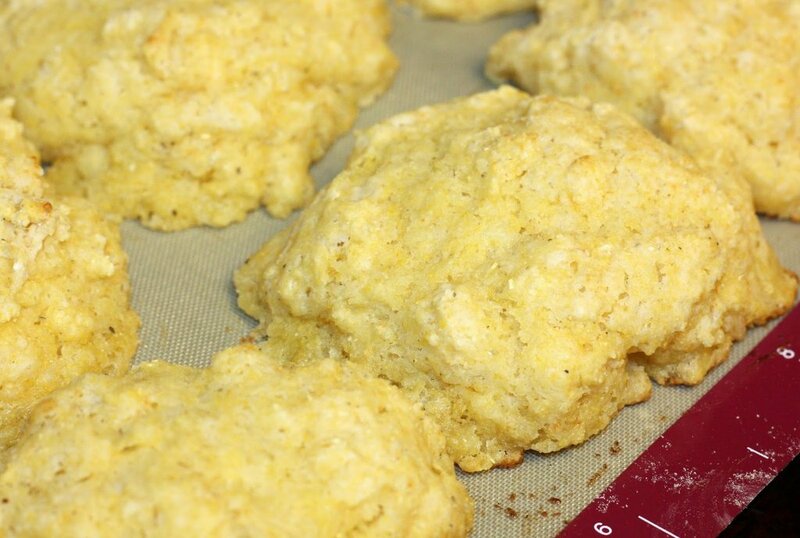 Don’t we all need another great biscuit recipe? 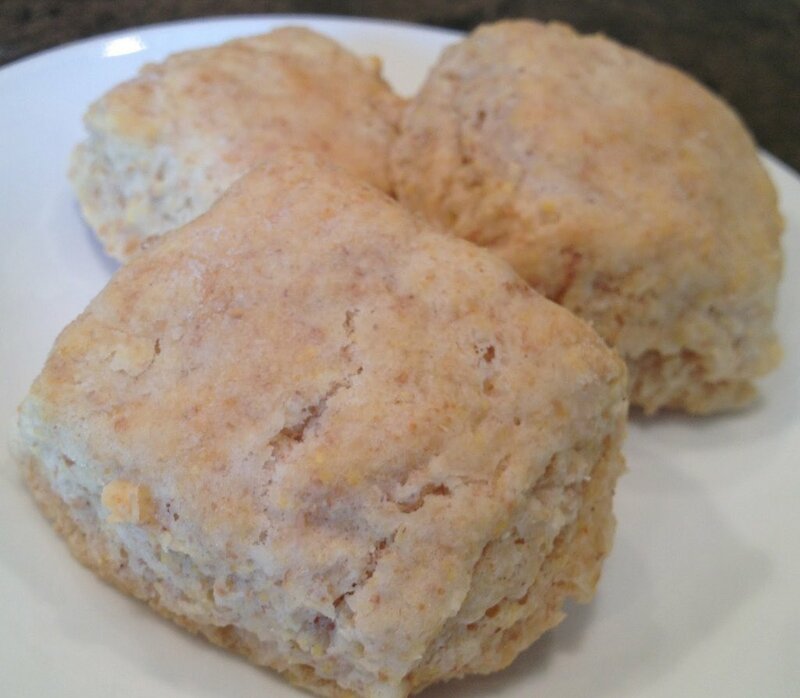 I love biscuits. That day several years ago when I discovered I could just pat the dough together and use a knife or bench scraper to make square biscuits–eliminating the rolling pin and round cutter–is probably the third best day of my life! Recently, I’ve had quite a few people ask me who my favorite jazz artists are. My absolute favorite instrumentalist is Thelonious Monk. I love the way he weaves seemingly dissonant tones into a beautiful, musical tension that holds on until the last possible moment for a harmonic resolution. 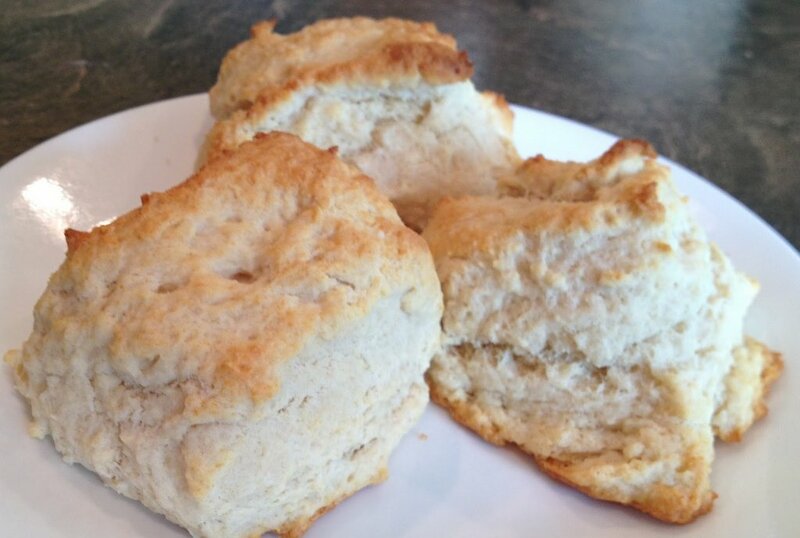 One of my favorite songs of his is “Well, You Needn’t (It’s Over Now).” Take a listen and see if it might become a favorite of yours–while you are savoring these incredibly tasty biscuits! 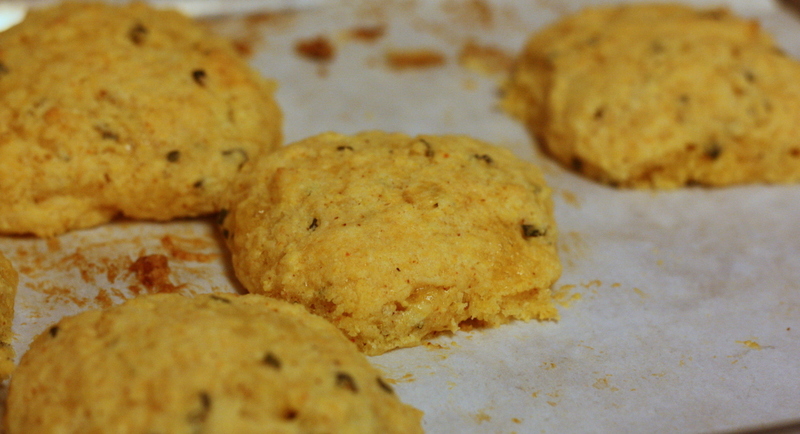 In a small bowl, combine flour, cornmeal, sugar, baking powder, salt, cayenne pepper, chives, and onion powder. Cut butter into chunks. Add to flour mixture and cut the butter in with a pastry blender, two knives or your fingers. You need to work quickly if you are using your hands so that the warmth of your fingers does not soften the butter. Line the bottom of a large baking sheet with parchment paper. Add milk and cheddar cheese at the same time. Stir with a fork just until blended. On a lightly floured surface, put dough and gently shape into a square about an inch thick. Using a metal bench scraper to cut dough into 4 or 9 equal pieces. Place on baking sheet about 1 inch apart. Bake for 11-12 minutes until golden.